The Redwood Forest Foundation, Inc. is a 501(c)3 non-profit organization that is dedicated to establishing community- based forests that provide both critical habitat for increased biodiversity and improved regional economic vitality. Donations add to RFFI’s capital fund and will be used to support RFFI operations. They may also be used to match grants or loans to purchase forest lands and improve their health by protecting water, soil and air quality, plant and animal habitat. Donations will help fund forest management practices as outlined in the existing Forest Stewardship Council’s Pacific Coast Regional Guidelines and RFFI’s Basic Tenets and Goals. Mendocino, CA 95460. Please write on the check “restricted for RFFI operations.”If you would like to discuss a donation or support RFFI in sourcing foundation grants, please contact Lin Barrett. RFFI has set up the opportunity for making automatic recurring monthly donations online. RFFI offers a membership option which enables members to stay current on RFFI developments and projects. Join RFFI now and enjoy the benefits of membership, including our bi-annual newsletter, tours and events and our annual meeting and barbeque. Individuals over the age of 70 ½ years may make direct charitable contributions to charities such as RFFI from a traditional or Roth IRA. Folks who are required by law to take income out of their IRAs may find this an excellent way to reduce their taxes while supporting charities like RFFI. In 2013 the IRS allows individuals over the age of 70 ½ years to make direct charitable contributions to 501(c)3 charities such as RFFI from a traditional or Roth IRA. These Charitable IRA Rollover gifts may total up to $100,000 per person per year. Although such rollovers do not qualify as charitable deductions, they can be used to reduce donors’ adjusted gross income, which can result in paying lower income taxes than if you take a deduction. We encourage you to discuss this option with your attorney or financial advisor before making your decision. Should you choose to support RFFI in this way, your donation must either be sent to us directly by the administrator of your IRA plan or the IRA plan can send you a check, made out to RFFI, and you can deliver it. 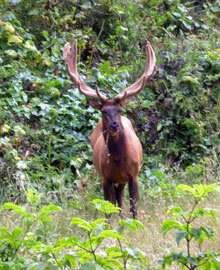 The Tax ID number for the Redwood Forest Foundation, Inc. is EIN 68-0404767. To learn more about how to make an IRA Rollover transfer to RFFI, please email morgan@rffi.org. Income from our endowment fund will provide a portion of the RFFI operating budget and administrative support on a regular and dependable basis and help insure the long-term viability and success of the Redwood Forest Foundation. We encourage you to consider donating to this fund as your gift will produce income for many years to come. Tax deductible donations including those of appreciated securities will strengthen RFFI’s ability to generate capital for land acquisition and management expenses as well as for community involvement and development. Donations of timberlands will be managed according to the FSC and RFFI’s best ecological and economic guidelines. RFFI believes that acquisition of adjoining lands will reduce forest fragmentation and increase biodiversity and watershed protection. Making a gift now in memory of a loved one or family. 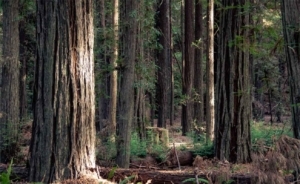 The Redwood Forest Foundation welcomes your legacy gift and encourages you to consult with your attorney and tax advisor to assure that your choice supports your values, assures that the terms of your legacy are honored, derives the possible tax benefits associated with this type of gift and conforms to state and federal regulations. We will gladly discuss legacy options with you. Please contact Mark Welther at 510 459-1131.